It’s arrived….our all new Villas & Apartments page is now live and what a treat in store with have for all your lovely people. From apartments in Barcelona, Paris, Madrid, London, New York, Milan….Peckham! (OK, maybe not Peckham) to unbelievable villas and holiday homes in the Hollywood Hills, Miami, Tuscancy, Orlando…and many, many more, we have properties available all over the World. Remember the offers below are just a taster. Like our holiday, city breaks and events packages, we can tailor all, including flights, transfers, car hire, excursions so quite simply if you do not see your ideal destination listed, just get in touch. 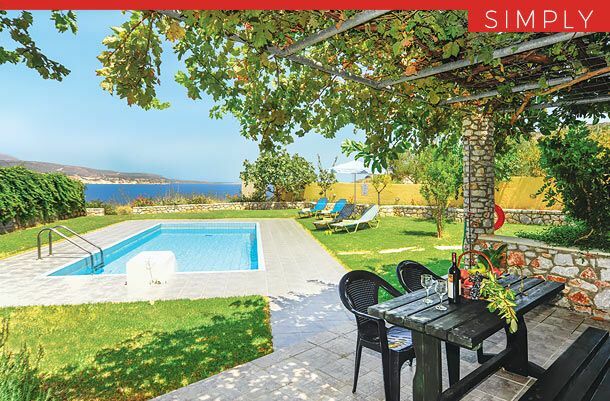 Nestled on the coastal cliffs of Kalami, this delightful property is set amongst attractive gardens, boasting awe-inspiring views across Souda Bay and out to sea. Ideally located, Koule is set within easy reach to a small selection of amenities, whilst the town of Chania can be found within a fifteen minute drive. Set over three floors, Koule is accessed via the middle floor which leads to the main living accommodation, stairs lead both upstairs and downstairs to the air-conditioned bedrooms and bathrooms. The ground floor accesses the large lawn, covered pergola and swimming pool all which enjoy the scenic views. Sleeps 6. Package includes for flights and 7 nights stay. Car hire available as a supplement. 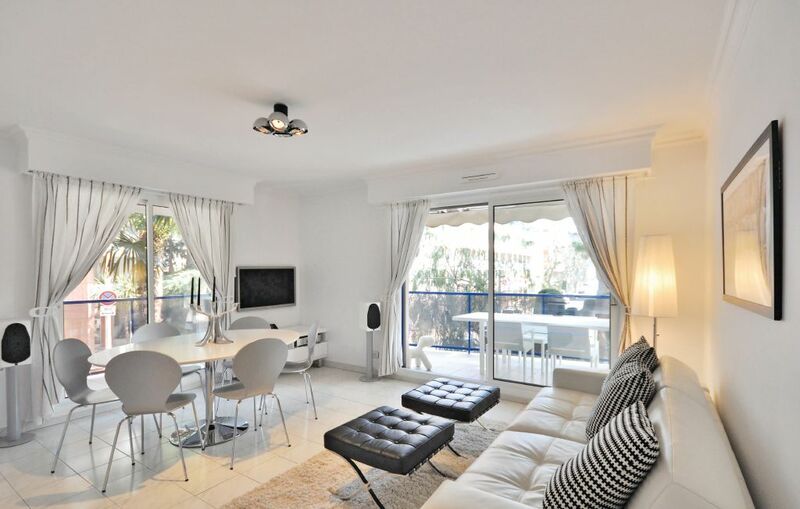 Located right between the two popular neighbourhoods Carré d’Or and Palm Beach this delightful 4 person apartment is ideal for a stay near shops, beaches and the famous seafront La Croisette. 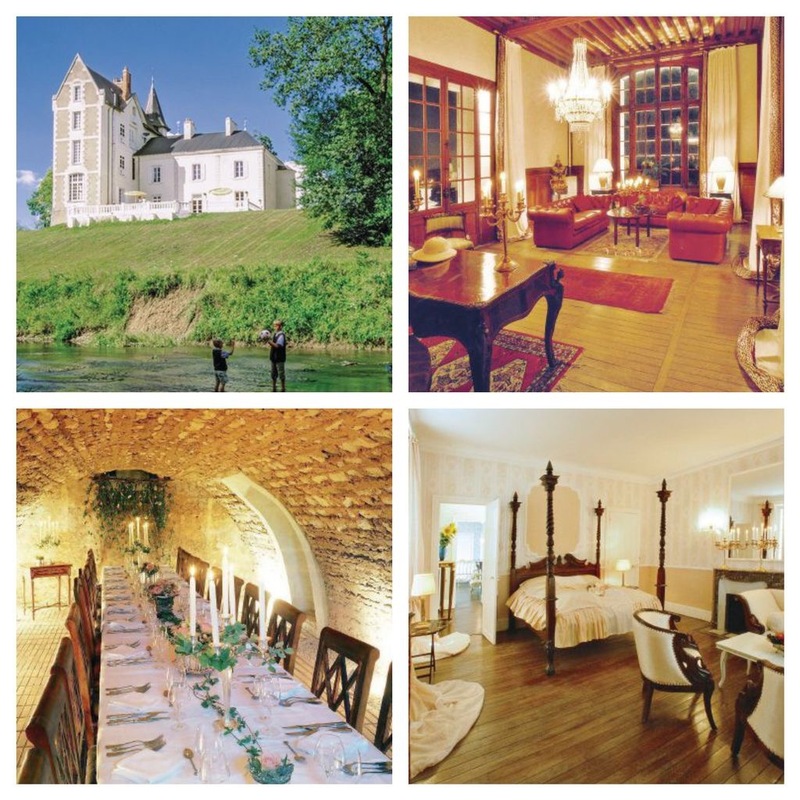 It is of course also the ideal accommodation for convention and trade fair participants. The apartment has been completely renovated and enjoys a very modern equipment. From the comfortable living room you have access to the terrace. In one of the two bedrooms you will find an integrated shower and a sink.Flights and car hire available as a supplement. This magnificent holiday home is situated amidst picturesque scenery, less than 40 miles from Venice. Thoughtfully constructed using natural materials such as wood and stone, the villa has been beautifully furnished with modern furniture and neutral tones. It has five bedrooms, each one with its own bathroom, and accommodates up to fifteen guests. The property has a fully-equipped kitchen and a very spacious living and dining area that provides access to the covered terrace where guests can also enjoy a lovely meal while admiring the views of the countryside. It boasts a very spacious and well-kept garden, complete with a lovely pool area with sun loungers. Guests will find this warm and welcoming holiday home the ideal place to spend a holiday immersed in the calmness of nature. Flights and car hire available as a supplement. Luxury in Margate…yes, it truly is! This large Georgian house located in Margate, Kent (United Kingdom) and is just a short walk away from the town centre and local beach. This terraced property is a fantastic base for friends and family to enjoy a holiday by the sea. 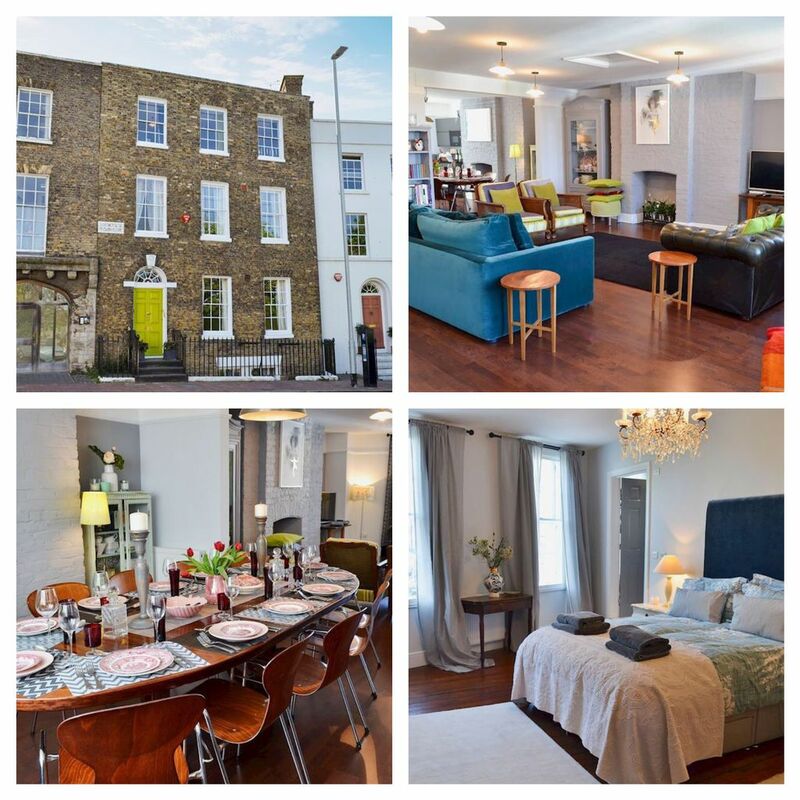 Situated over four floors this property is like no other, it comprises of a flat in the basement, several large bedrooms, dining rooms, living rooms, multiple bathrooms and a roof terrace to enjoy the summer sun. Built in 1762 this accommodation has plenty of character and charm, as well as being decorated and furnished to a good standard. The house boasts Sky and Freeview TVs, kitchen equipment including a Rangemaster and Wi-Fi throughout the house. Local attractions include the theme park Dreamland in Margate, with its iconic scenic railway and vintage amusements. This offer is for a 3 nights stay based on 12 people travelling. 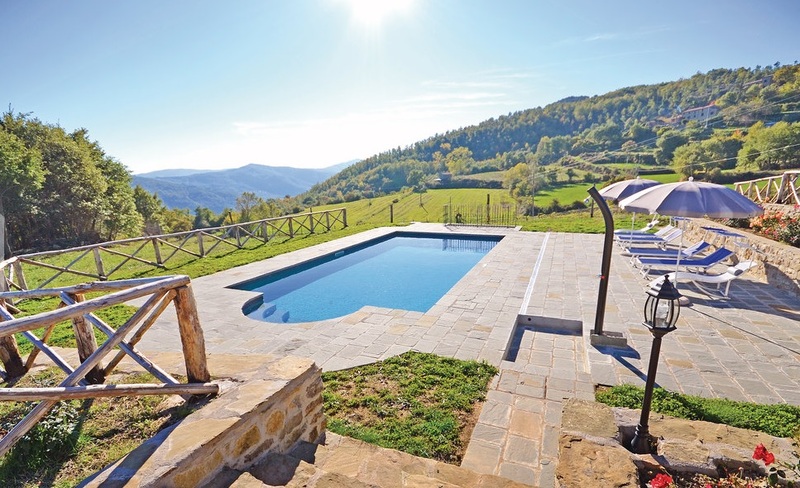 Situated in the beautiful Tuscan Hills, this charming 4 bedroomed Italian villa is the perfect location to enjoy a peaceful holiday in the heart of the picturesque countryside. The four bedroom villa (hosts up to 7 persons) has been fully refurbished and now offers a wonderful blend of the classic architecture found in a traditional farmhouse, alongside the convenience of modern amenities. 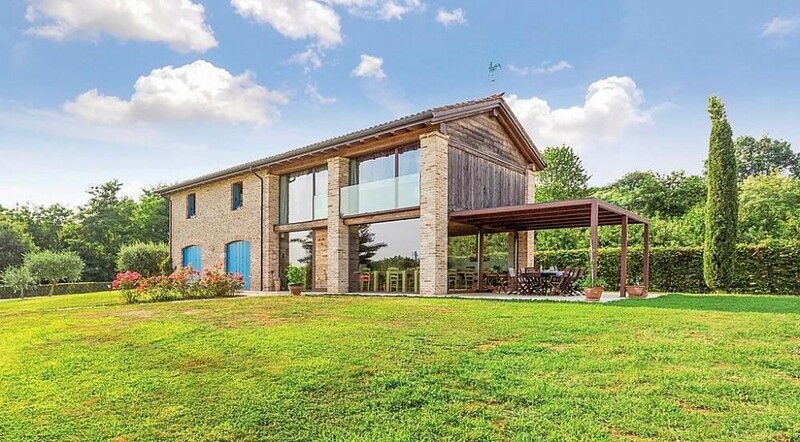 The holiday home is surrounded by a large garden, complete with barbecue facilities and a partially covered terrace, which is the perfect spot to linger over a meal or relax with a glass of wine. The outside swimming pool is surrounded by a well-kept garden and benefits from plenty of exposure to the sun throughout the day. Flights and car hire available as a supplement. Set amongst peaceful countryside in the beautiful Caramujeira area, this villa provides the ideal setting for a relaxing holiday. 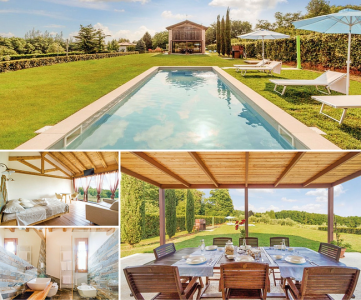 This spacious villa is traditionally furnished throughout while outside a large roman style pool is surrounded by lovely open gardens and pine woodlands. The bustling resort of Carvoeiro can be reached within a fifteen minute drive offering a popular beach and several restaurants, bars and shops. Several local restaurants can also be found within a short drive of the villa as well as the picturesque beach of Praia da Marinha. This package is for a 7 night stay with flights based on 8 sharing. This beautiful three bedroom holiday home with swimming pool awaits you in Leucate. 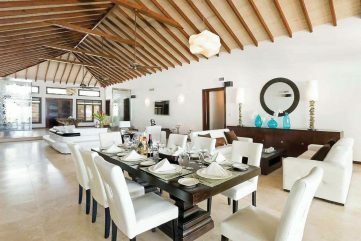 Wonderfully located less than 600 meters from the beach, this stylish home boasts a stylish design and modern amenities. It can accommodate six people who will be in a haven of peace and tranquility. * Flights & car hire available as a supplement. Le Manoir is a stunning villa situated within the pretty resort of Les Adrets de l’Esterel. This 7 bedroom villa is spacious and offers high quality accommodation for a large group or several families holidaying together. There is air-conditioning throughout and a selection of games to entertainment all members. le Manoir is best placed for outdoor living, with a wonderful outdoor dining and barbecue area, as well as a vast lawn and large private pool which can be heated at an extra cost. We’ll arrange for a 7 night with return flights. Based on 10 people travelling. 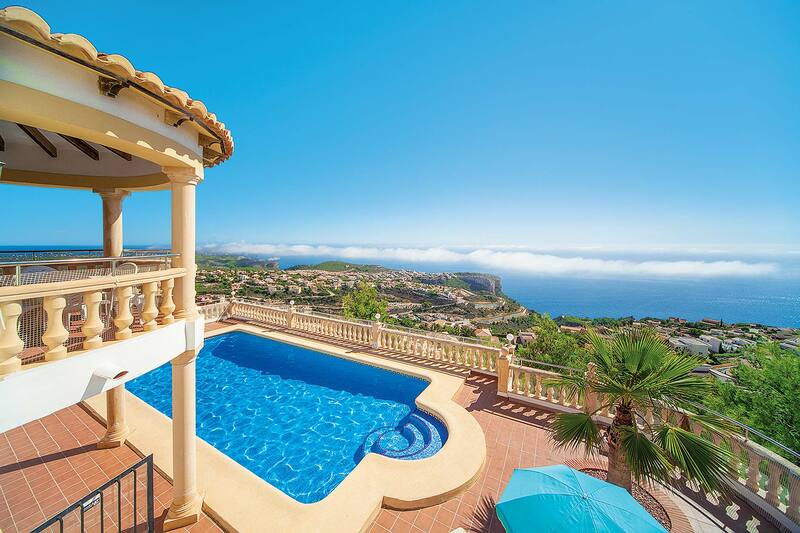 Located in the ever popular area of Cumbre del Sol, this fantastic villa’s elevated position allows for wonderful views across the surrounding area, along the coastline, and out to sea. Inside, each of the air conditioned bedrooms are comfortably furnished, and from the lounge, patio doors are ideally positioned to make the most of the views. A small variety of amenities can be found within a few minutes’ drive on the Cumbre, however, the delightful resort of Moraira can be found within a fifteen minute drive where you will find a good selection of amenities and a sandy beach. *Flight & car hire / transfers available as a supplement. Excursions available. 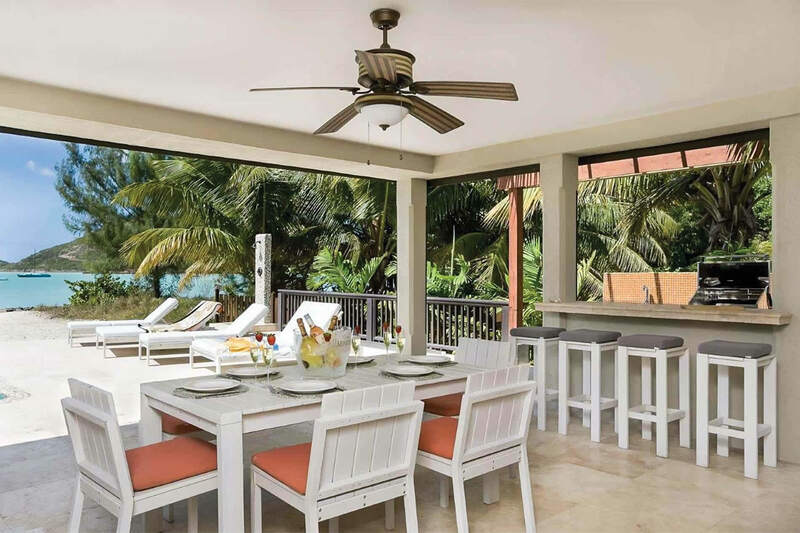 his stunning villa is positioned in the popular area of Jolly Harbour, Antigua, in a prime location close to all the amenities with a café, restaurants and supermarket nearby. 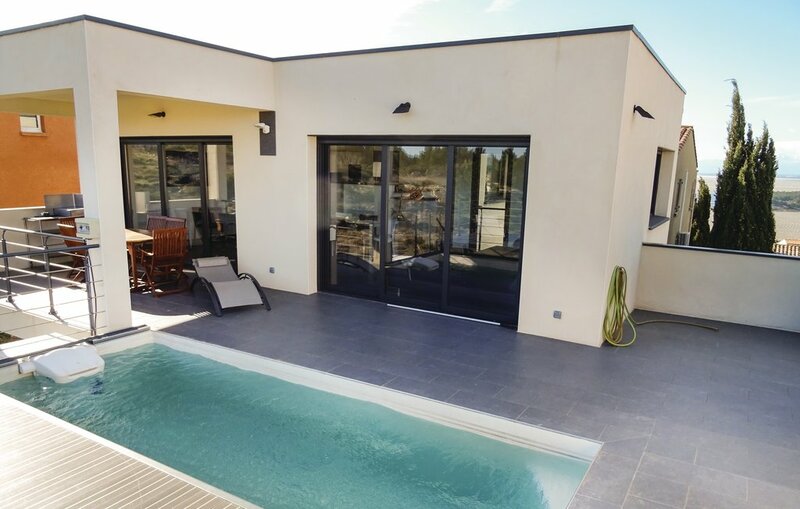 Make the most of outdoor living with the bi-folding doors which open the whole of the house onto the pool terrace, complete with plenty of covered areas to enjoy a cocktail or dine alfresco. The infinity pool blends seamlessly into the glittering ocean before it and there is a separate Jacuzzi to relax your muscles. 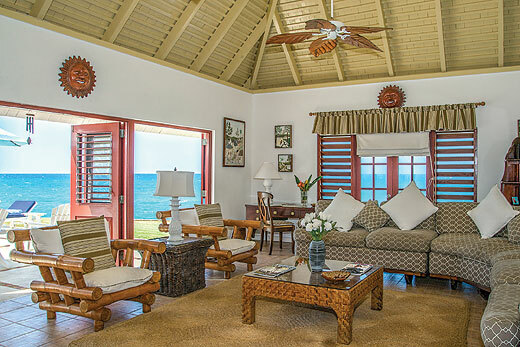 This villa is truly a peaceful and relaxing retreat, with direct beach access with a private sandy cove all to yourself. The opulent bedroom suites all have king-size beds, flat screen TVs and spacious, modern bathrooms. Each room is also air conditioned but also has a ceiling fan for a more organic breeze. 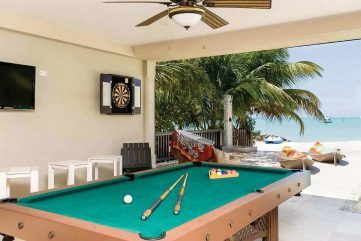 When taking respite from the beaming year-round sunshine, there is a pool table, dart board and flat screen TV under the shaded terrace, also complete with a ceiling fan for extra coolness. Indulge in this rare opportunity to live right on the beach, with white sand and turquoise waters literally at the tips of your toes! *Flight & car hire / transfers available as a supplement. Excursions available. 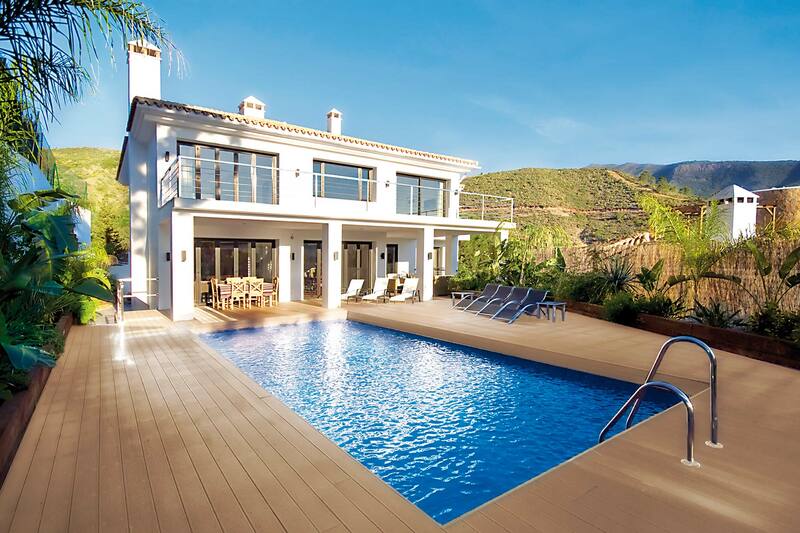 This pristine, ultra-contemporary home is ideally located in the picture-perfect village of Benahavis, nestling in the mountains only 15 minutes drive from the coast. Built to a very high specification and cleverly designed to maximise the glorious views over the whitewashed houses to the surrounding mountains, Villa Tranquila offers all the benefits of village life amid exceptionally beautiful, comfortable surroundings. True to its name, Villa Tranquila is a serene, supremely comfortable home, with light, spacious rooms extending over three floors. Positioned to enjoy the warm summer sunshine all day on the lovely pool and gardens, its floor-to-ceiling windows and wide upstairs balcony allow for delightful views over the charming village of Benahavis and the natural beauty of the surrounding mountains. *Flight & car hire / transfers available as a supplement. Excursions available. 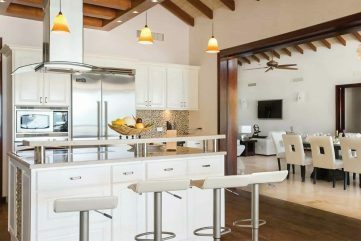 Furnished with a modern and stylish feeling throughout, the open plan living, dining and sleek kitchen area features large double doors that leads you to the decked poolside terrace. There is plenty of space to sunbathe by your very own private pool on the terrace , while inside the two bedrooms feature ensuite bathrooms. Located on the unique and modern designed development of Paradise Cove featuring ten individual villas, set just a few hundred meters from the beach and a short walk from a selection of shops, restaurants and bars, and just 2km from the historic port of Paphos, where further pavement cafes and restaurants can be enjoyed. *Flight & car hire / transfers available as a supplement. Excursions available. 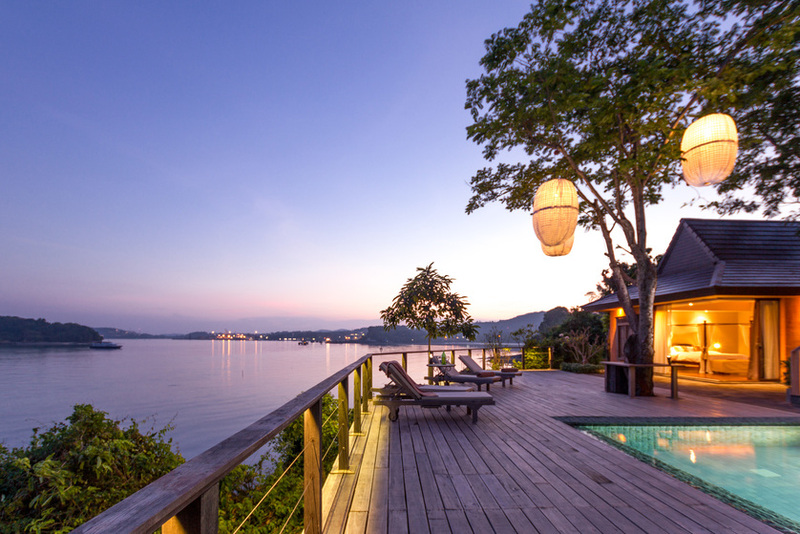 Nam Bo villa is an oceanfront property with stunning panoramic views of the sea and surrounding islands towards Krabi, Phi Phi island, Cape Panwa and Phuket Bay. Set in beautiful tropical gardens this luxurious villa has large living space inside and out to both entertain and relax. There is a kitchen area within the main dining space and from the living area you can walk to the covered, open air sofa sala which looks out to the ocean and venturing further down you can access the swimming pool. The super long swimming pool is flanked by an enormous wooden deck for sunbathing. Each of the main bedrooms has an en-suite bathroom and the master bedroom has a jacuzzi with windows offering amazing ocean views. Located on a small private estate on a headland peninsula in the quiet area of Ao Makham it is very quiet and relaxed and yet just 5 minutes drive to the wonderful Ao Yon Bay and beaches with it’s chilled out beach bars and bistros. Many more popular bars are just 10 minutes north in Phuket town or south to Cape Panwa. The true secret of this villa location is that you are so close to the offshore islands and beaches dotted around this part of the coast can snorkel in crystal clear waters, lie on deserted beaches, that are only 15 minutes by boat from the villa. *Flight & car hire / transfers available as a supplement. Excursions available. Casa Daphne is a unique property located on the highest point of Oia village in Perivolas area of Santorini, in a very convenient position, since it is only 500 meters from Oia center and just outside the property there is a parking area, the bus stop, markets and restaurants. Daphne combines the traditional architecture with minimal and contemporary design and from there you can enjoy fantastic views over the cliff, the village, the beautiful sunset and the volcano, all at the same time. There is an infinity outdoors Jacuzzi plunge pool for 6 persons available on the courtyard with fabulous views to the sea, the caldera and the village of Oia. For more amazing photos, get in touch with the team today. *Flight & car hire / transfers available as a supplement. Excursions available. 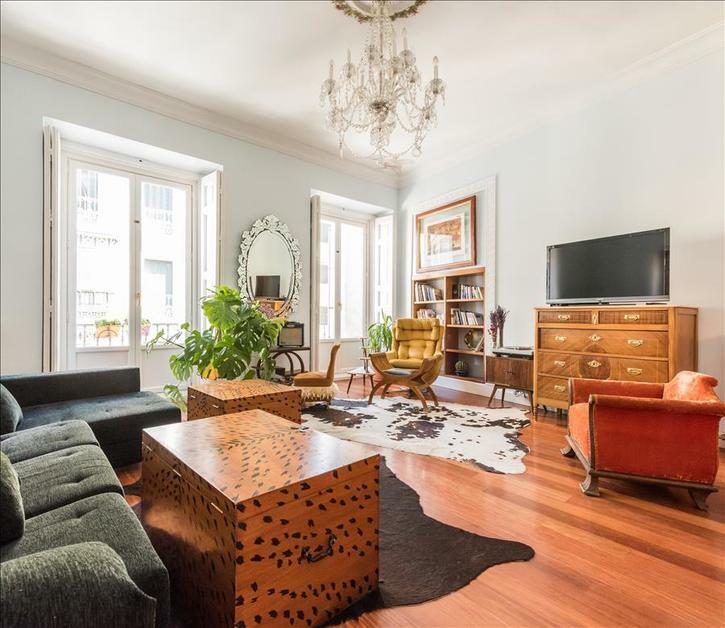 Recently renovated (2016) this fantastic apartment in Central Madrid has the capacity for 7 guests. A few minutes’ walk from Gran Vía, Puerta del Sol, Plaza Mayor, Royal Palace and Chueca neighborhood, gives you the perfect location. For lovers of retro, this apartment will appeal with its amazing furnishings throughout. It is a warm and silent space where you can enjoy the vintage details. This property features spacious living / dining room and fully equipped kitchen. A main room en suite (bed of 200×200), a second bedroom with three single beds (90×200) and another with two other single beds (90×200). In addition to the bathroom in the master bedroom, there is a large bathroom with shower. Flight & car hire / transfers available as a supplement. Excursions available. Renowned for its international film festival, this stylish city oozes wealth, glitz and glamour all year round. Take a stroll along the Promenade de la Croisette and admire the luxurious boutiques or relax in a local cafe for a spot of celeb-watching. The city is also blessed with an effortless natural beauty, with a pretty coastline and stunning views of the islands floating just off the coast. Flight & car hire / transfers available as a supplement. Excursions available. Occupying a stunning oceanfront location, Elysian Plain is situated within the prestigious Tryall Club, nestled on the North West coast of the island. Set within it’s own beautiful gardens and grounds the villa is located close to both the facilities on the resort and it’s infamous golf course, whereby you can enjoy access to the Club House, tennis courts along with the stunning beach. 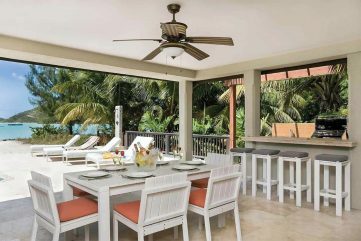 This airy five bedroom villa has been styled and furnished to a high standard in a typical Caribbean design boasting awe-inspiring sea views which can be enjoyed from most aspects of the villa. Each bedroom enjoys its own ensuite bathroom, air-conditioning and flat screen TV, with two of the bedrooms located in a separate section of the property. * Flight & car hire / transfers available as a supplement. Excursions available. A magnificently restored 19th century luxury villa located high on the hillside overlooking the historical town of Tolentino, Umbria, Villa Dimora is the epitome of style and elegance. With spacious private grounds and breathtaking panoramic views, it’s particularly ideal for those looking to celebrate a special occasion with a truly memorable holiday. 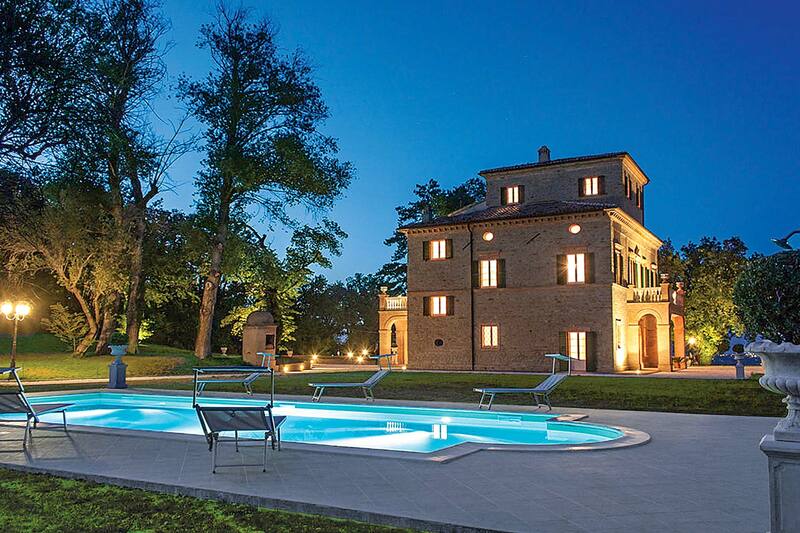 Standing outside of the beautiful Umbrian region, between Ancona and Perugia and just minutes from the town of Tolentino, this magical property retains the air of nobility and charm that first attracted the aristocracy of Turin over a century ago. Immaculately restored with the utmost care and attention to detail, its graceful architecture and timeless interiors can’t fail to impress. * Flight & car hire / transfers available as a supplement. Excursions available. Experience two sides to Bali with this incredible offer. You’ll stay close to arty Ubud, surrounded by rice terraces and home to art galleries and a thriving café culture. 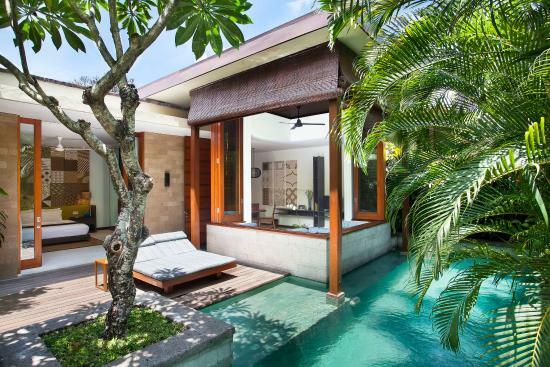 You can then relax in Seminyak on the coast, one of Bali’s most upmarket beach resorts. Your first stop is The Ubud Village Resort & Spa for a three-night stay. We’ll arrange a huge Garden Pool Villa for you, which has its own private pool, open-air pavilion for dining and a day bed. We’ll then arrange for you to head to the coast for a stay at The Elysian. With an air of seclusion, it’s hard to believe this hotel sits in the heart of fashionable Seminyak, close to bars, restaurants and one of Bali’s most popular beaches. This boutique stay has incredibly welcoming staff and you’ll stay in a One Bedroom Villa tucked away in its own high-walled garden. You’ll have your own private pool and sun deck; an open-plan living and dining area; and the chance to slide back the big doors so you can fully appreciate your space. Each one also has touches including a pre-loaded iPod Nano and Apple TV with box office movies. Your board rating will be Bed & Breakfats with Daily afternoon tea. Private transfers included throughout and we have various departures available through September 2017 to March 2018. This deal will not last long so get in touch today! LOW DEPOSIT AVAILABLE.